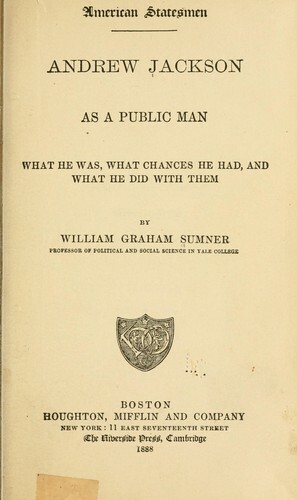 1 edition of Andrew Jackson as a public man found in the catalog. Add another edition? Published 1888 by Houghton, Mifflin and company in Boston, New York .